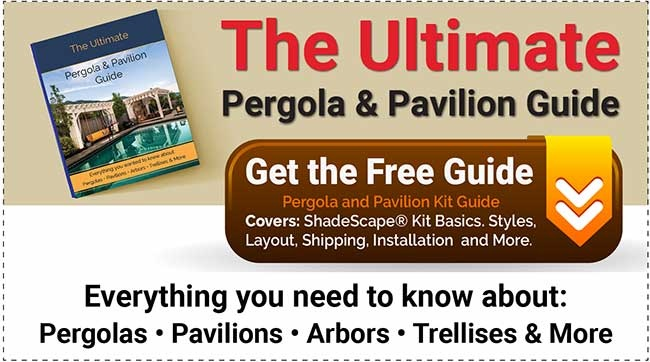 Home/Timber Pergolas/Pergola Kits/Garden Pagoda or Pergola – What is the Difference? 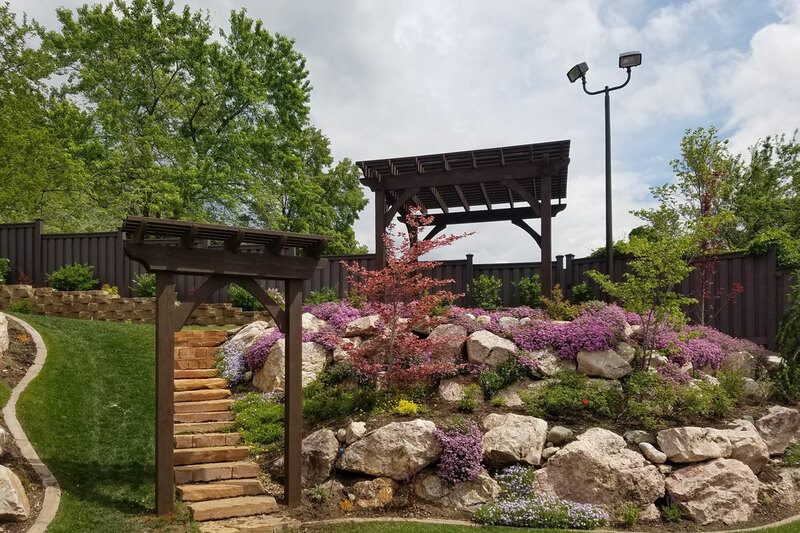 Providing architectural shade to a functional or botanical garden can transform an ordinary landscape into a park-like atmosphere – a backyard treasure house of play – surrounded in a collection of living plants. 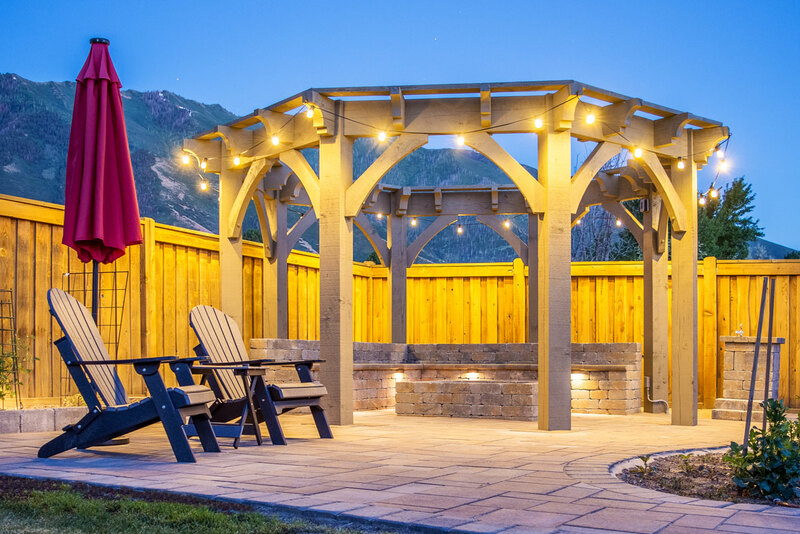 A garden pergola is designed to cover a sitting area, passage or walkway, with an open roof of cross beams or sometimes open lattices, supported by vertical pillar or posts. 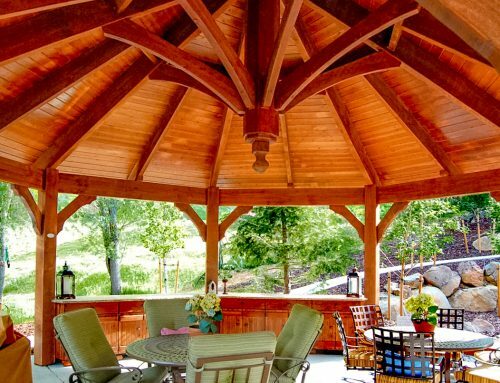 Unlike the pergola, a garden pagoda is similar to a pavilion in that it has a dedicated roof that protects from direct sunlight and rainfall. 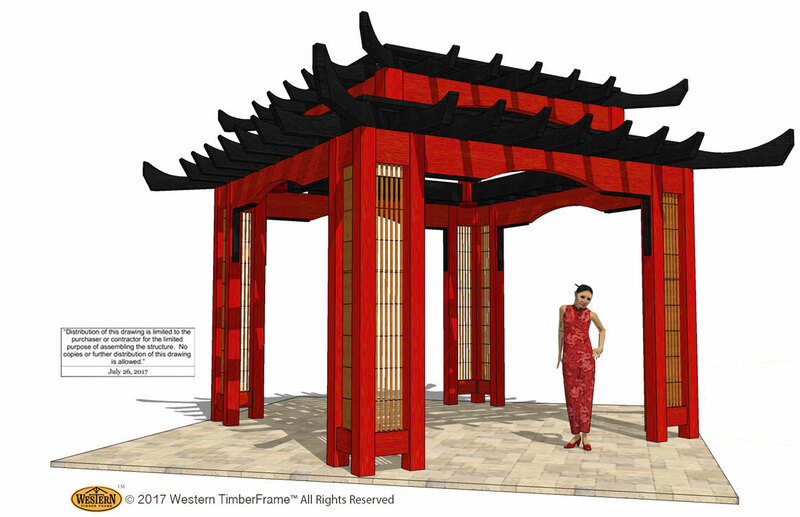 Where the pagoda differs from a pavilion is in the roof, featuring tiered upward curved roof eaves. 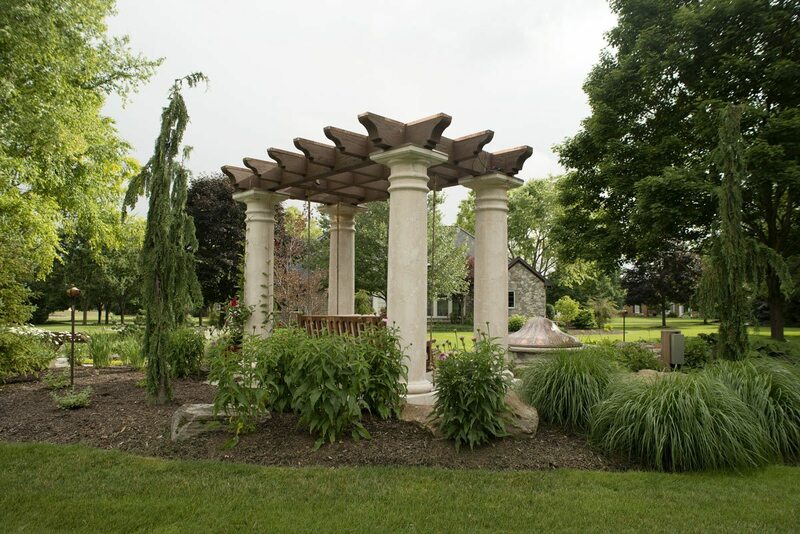 Pagodas are square, hexagonal, or octagonal, in a plan. 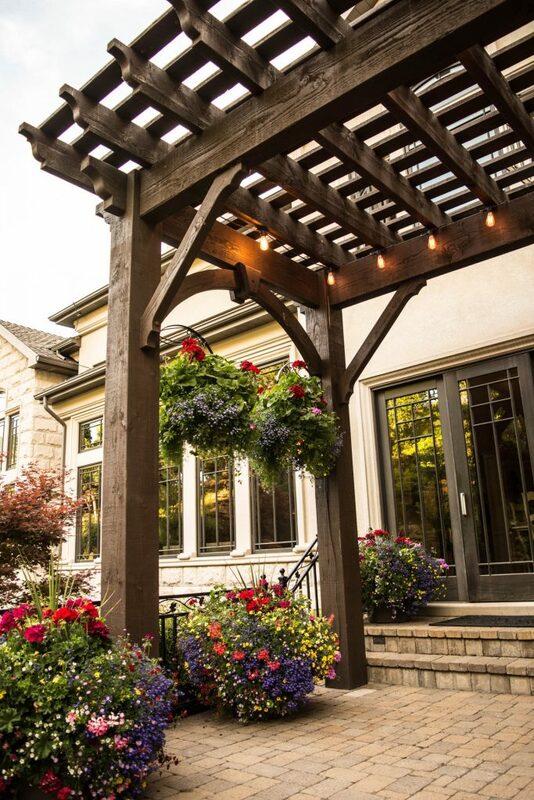 They vary in style, color, and material. 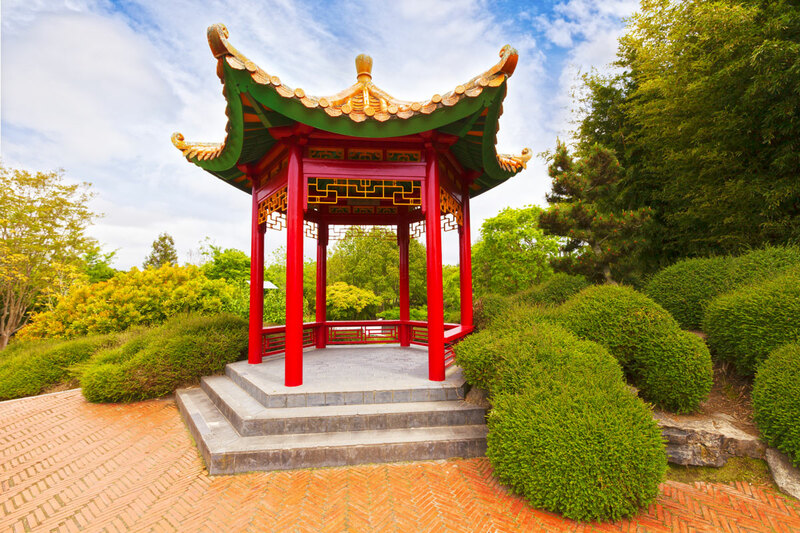 Garden pagodas are built after the historical traditions, common to South and East Asian regions, such as China, India, Japan, Korea, Nepal, and Vietnam. 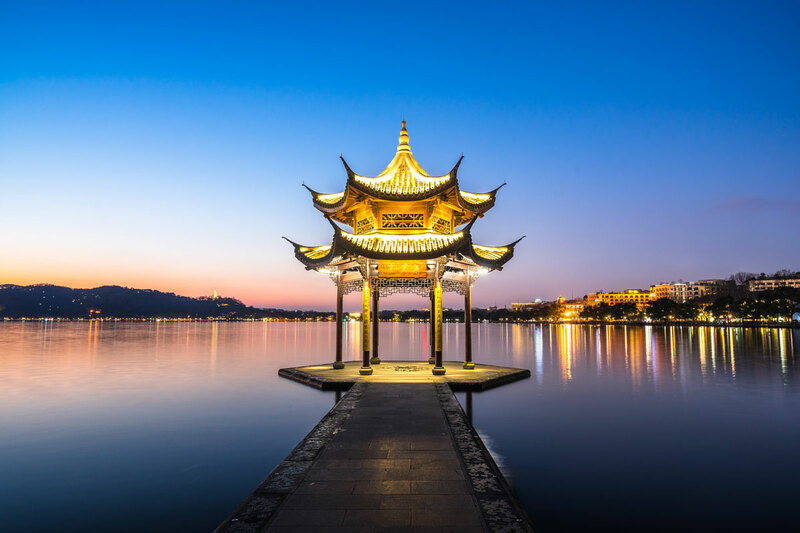 Most pagodas were built for sacred usage – as a temple dwelling or place of worship – to draw nearer to their god. 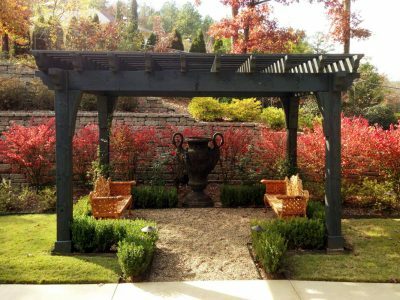 We specialize in designing, building and creating a wonderful Eastern garden ambiance with outdoor ShadeScape® shelters. 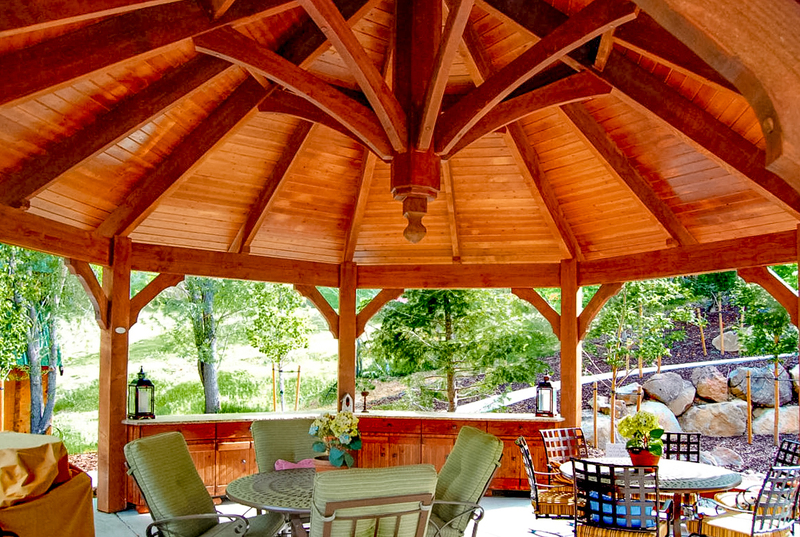 Like the Pagoda, Pergolas have been around for centuries of time. 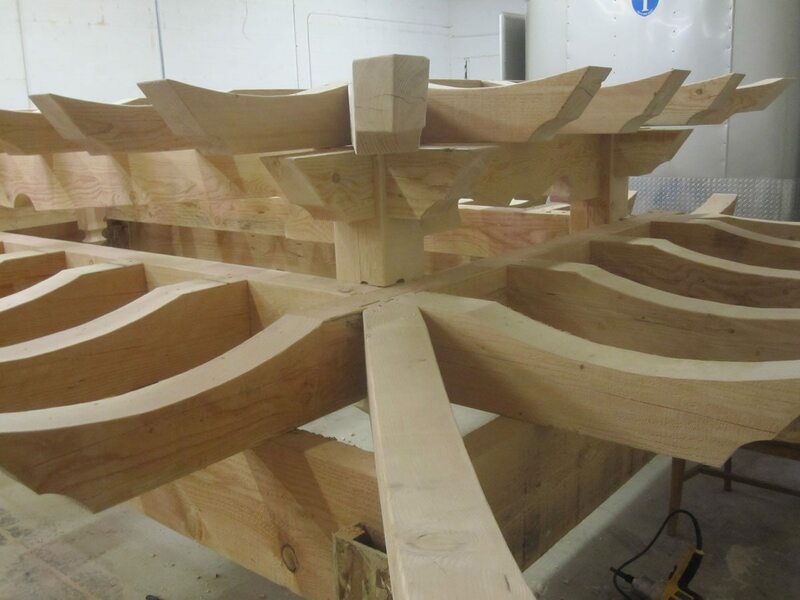 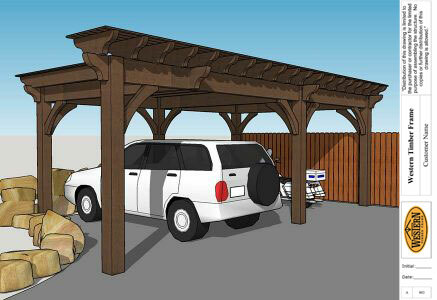 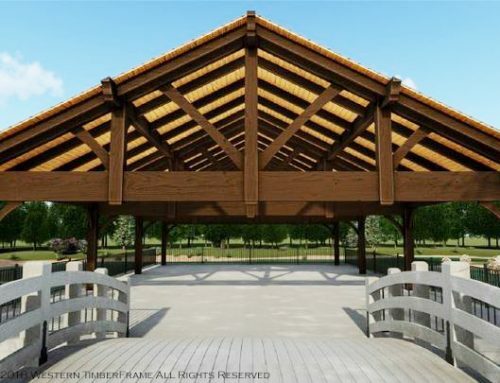 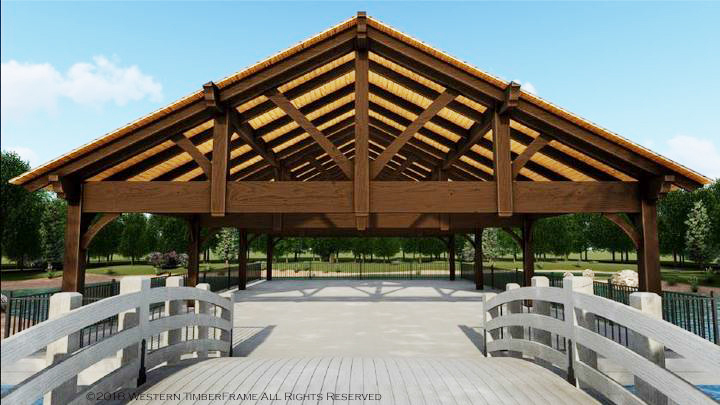 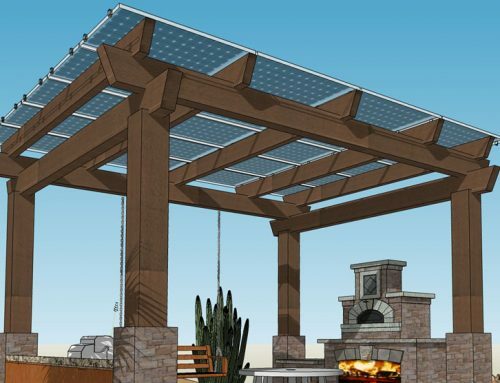 We also specialize in pergola plans and designs. 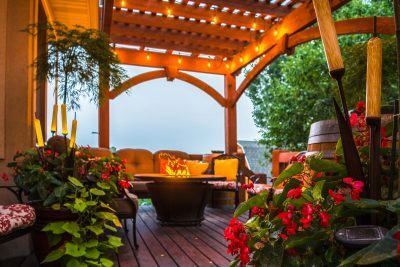 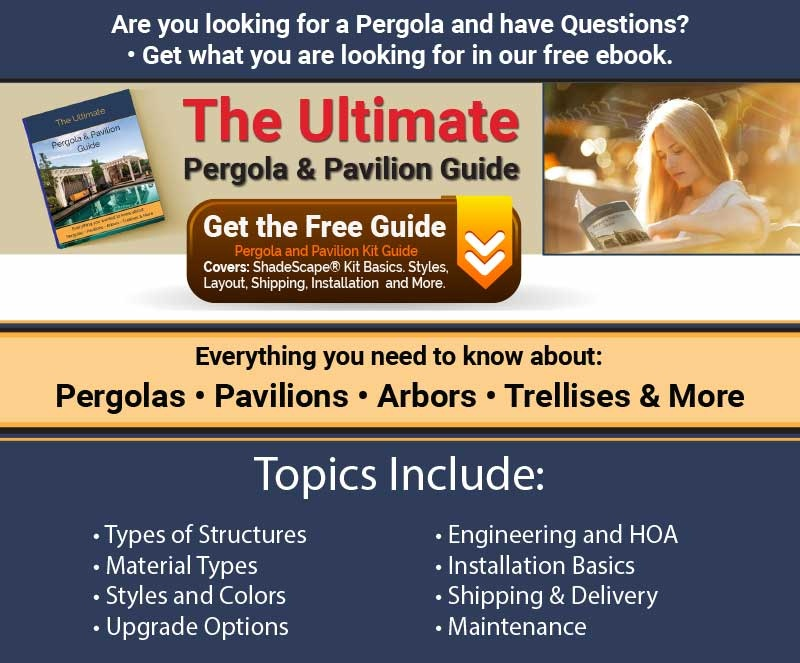 However, the word “pergola” is not as commonly known in the U.S., as is the term “pagoda”. 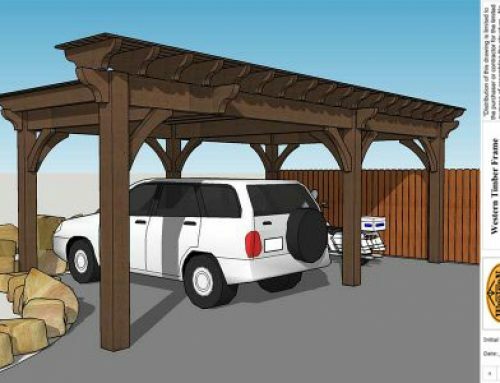 The terms used to describe garden shade shelters are used so interchangeably, a person they may be picturing a “garden pergola” with a latticed roof while asking for a “garden pagoda”. 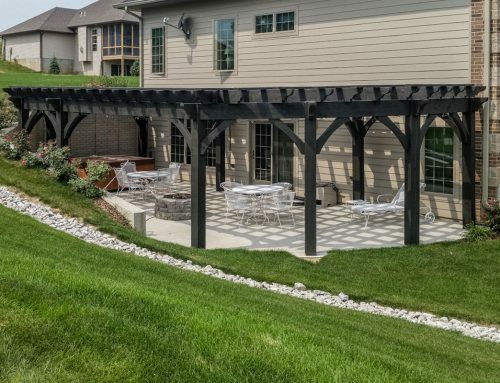 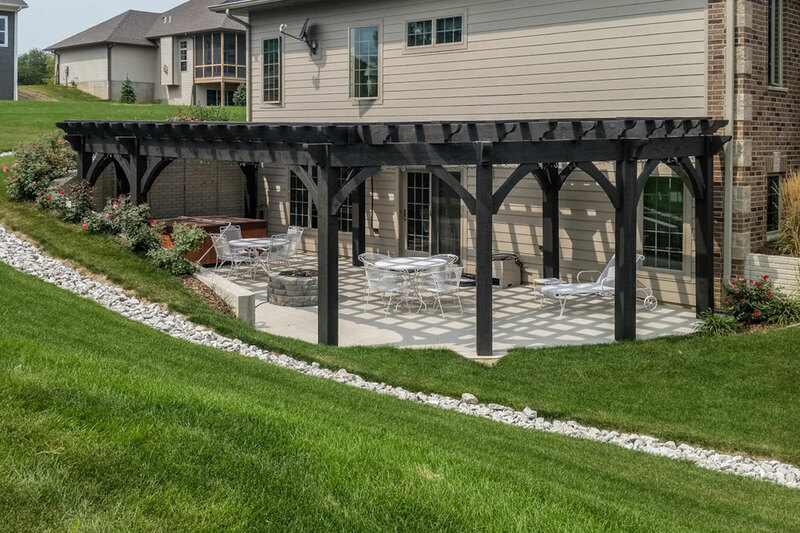 We like to take credit for the integration of some of the terminology because of our wide range of modern shade shelter types, styles, and features that embrace both traditional and innovative designs. 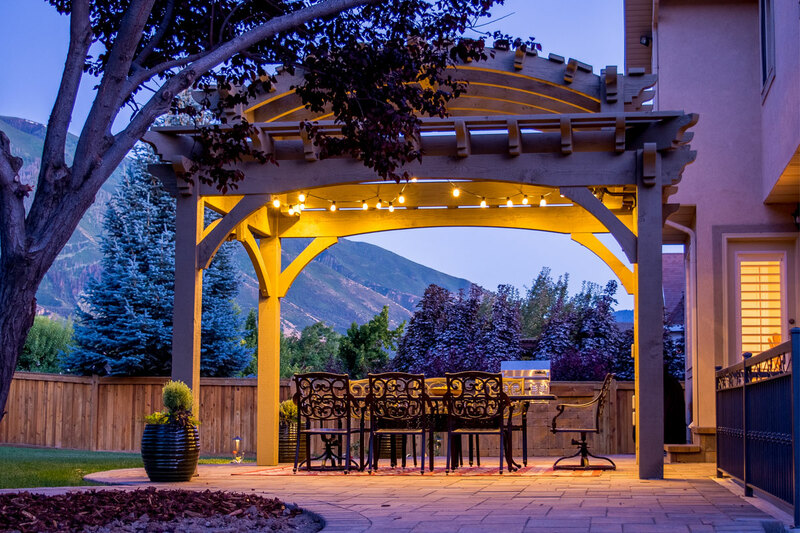 This is a tiered open-roof pergola we did borrowing from the pagoda style with a tiered, upturned roof. 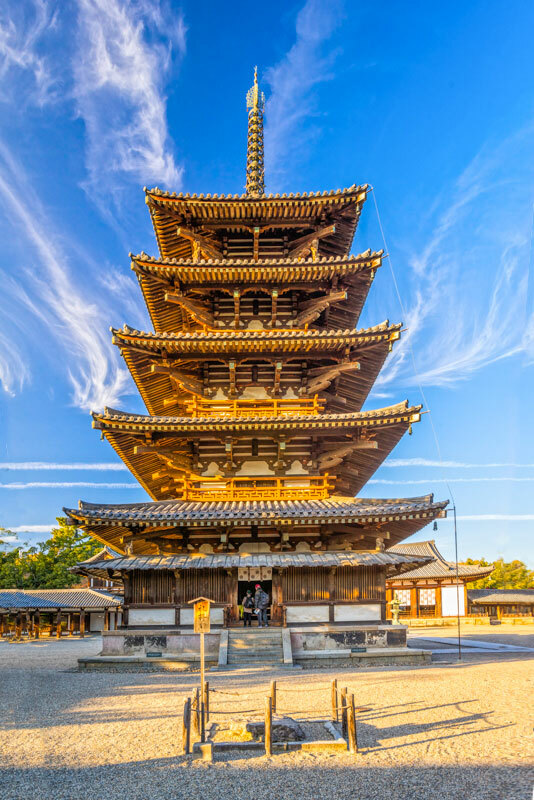 Traditionally, pagodas have bright, vibrant colors, typical of the Eastern style. 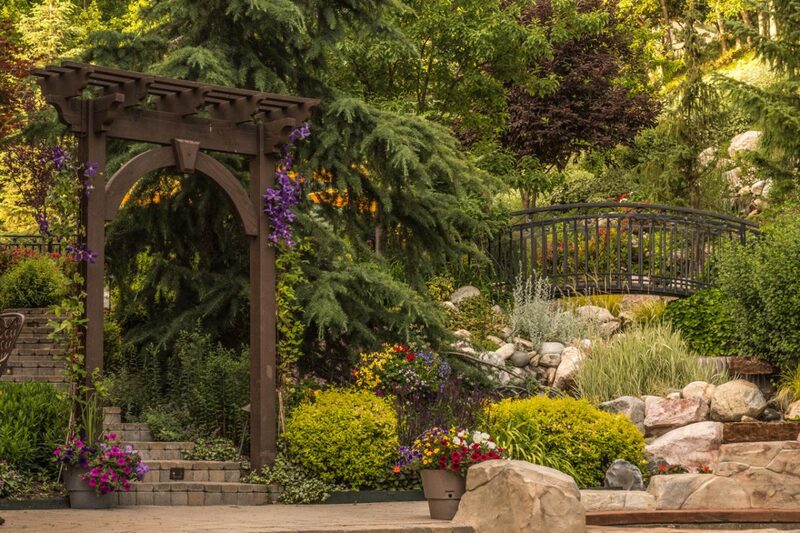 Classical timber frame garden pergolas have softer hues that blend in with the entirety of a landscape but like a pagoda, pergolas are also done in bold, vibrant or multi-color stains. 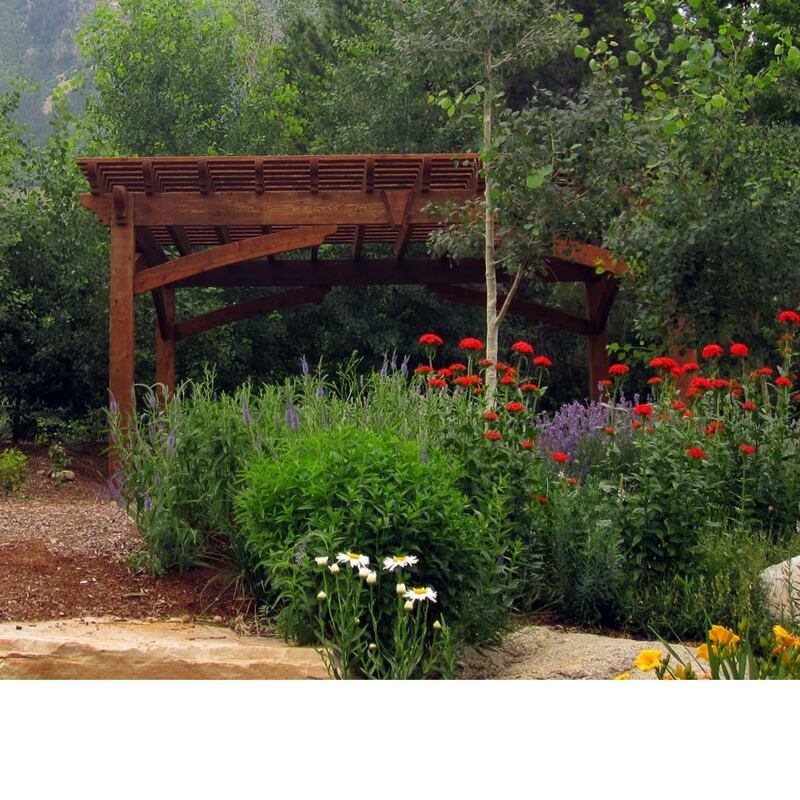 Pagodas and pergolas are both a pleasing addition to a Zen Garden, Xeriscape, or “dry landscape”. 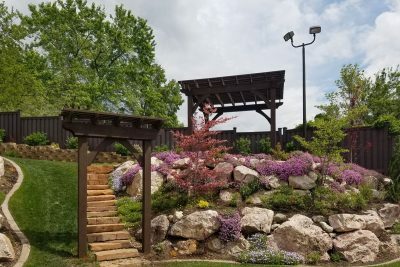 Gardeners will sometimes strategically place rocks in a bed of gravel, symbolizing islands or mountains. 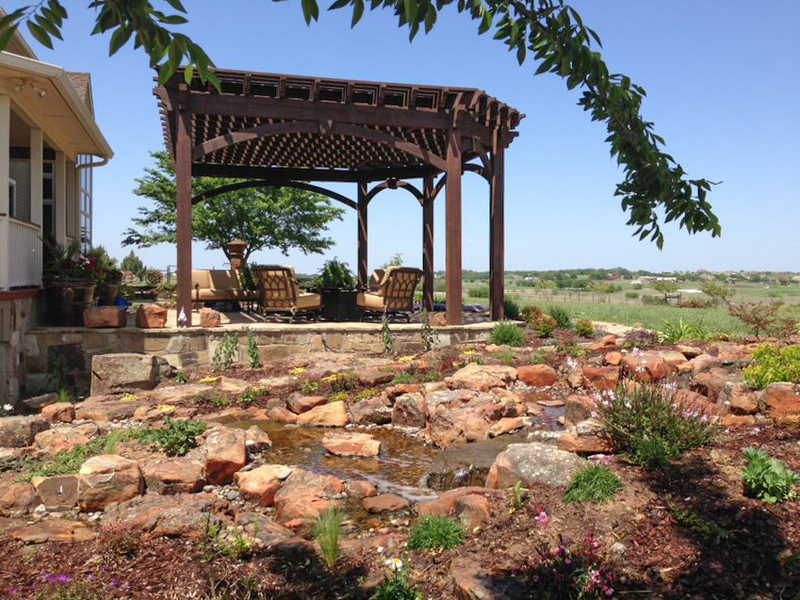 Rocks are harmoniously set to suggest flowing water. 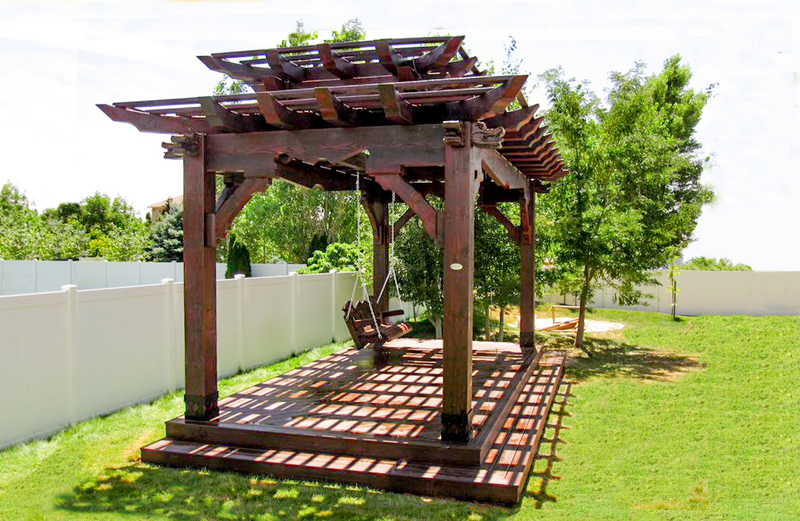 A pagoda or pergola provides the wonderful and necessary shade.